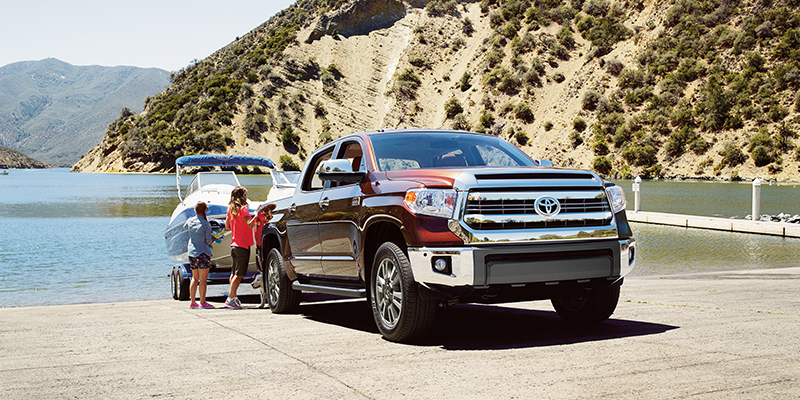 The Toyota Tundra took top honors as the most reliable full-size pickup truck in the J.D. Power 2019 U.S. Vehicle Dependability Study announced Wednesday. The Tundra beat out the Chevrolet Silverado, Ford F-150, Ram 1500 and Nissan Titan. J.D. Power named the Silverado runner-up. The other models did not earn enough points to round out a third spot on the podium. The study measures dependability by tallying the number of problems reported by owners over a three-year period. The vehicles named in the 2019 study are 2016 models. Chevrolet missed out in the light-duty category but was the top choice in the heavy-duty pickup truck segment. Its Silverado HD won over the Ford Super Duty and Ram HD. Ram didn’t earn a high enough score to be named. Toyota and Nissan don’t make heavy-duty pickup trucks. The Nissan Frontier was best of the class among midsize pickups. The Chevrolet Colorado and GMC Canyon were also recognized. The report didn’t say where Toyota Tacoma ranked because J.D. Power only named the top three. The Tacoma is the best-selling midsize truck in the U.S. The study examines vehicles for 177 potential problems and logs their frequency across all makes and models. Overall dependability improved by 4 percent compared with results in 2018. Vehicles are more reliable than ever, said Dave Sargent, vice president at J.D. Power. But that doesn’t mean they are perfect. Automakers can improve issues such as voice recognition, transmission shifts and battery failures, he said. The Tundra helped Toyota earn a tie with Porsche as the second-highest-scoring brand. Both companies tallied 108 problems per 100 vehicles. The Silverado and Silverado HD helped Chevrolet slot into fourth place with 115 problems. Across the industry automakers averaged 136 problems. Ford won the large SUV category with its Expedition, beating out the Chevrolet Tahoe and Suburban. But overall the brand fell below the industry average with 146 problems per 100 vehicles. Ram, which offered the light-duty 1500 and the Ram HD during the 2016 model year, averaged an unfavorable score of 171 problems per 100 vehicles. That contributed to the brand’s rank of 27th out of 31 participants. Brands that exclusively offer trucks and SUVs did not fare well. GMC scored 161 problems per 100 vehicles. Jeep tallied 167 and Land Rover had 221 for the second-worst number of any brand. Other winners in light trucks included the Lexus GX for the midsize premium SUV category and the Hyundai Santa Fe for midsize SUVs. The BMW X3 won in compact premium SUVs, and the Chevrolet Equinox scored highest in compact SUVs. The Chrysler Town & Country beat the Toyota Sienna for minivans. JUst because Ford builds more trucks doesn’t mean it is more reliable. Numbers don’t lie. That’s awesome! But I have 2014 model, I think it is great too. Yay for the fake, paid award. Next…. I have a 2015 1794 Tundra. I have just turned 80,000 miles. Only issue I have had is a small leak in a rear shock. I changed both and upgraded to Bilstein. The truck is serviced every 5,000 miles and the tires rotated. Dependable is why I bougt it and it has not let me down.